If you are looking for unique entertainment for your next event or a gift for any occassion, you have come to the right place. Our artists have drawn thousands of caricatures over the years and still counting. 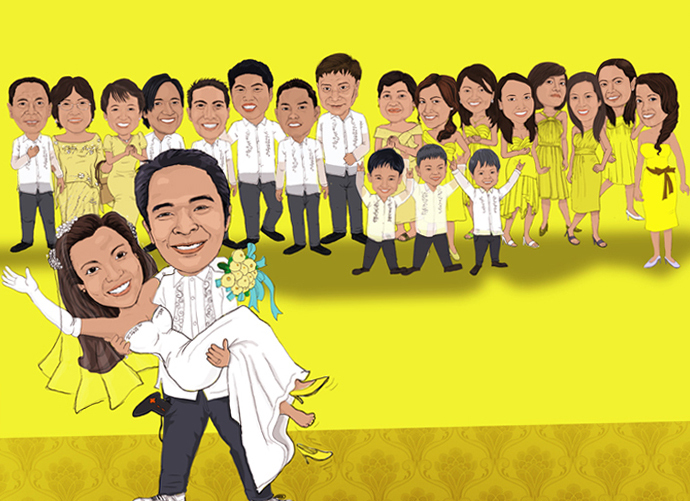 Whether it is a small party or a big event, we will make it special for you. 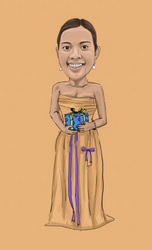 We offer many different caricature gift solutions for just about any occasion you can imagine. 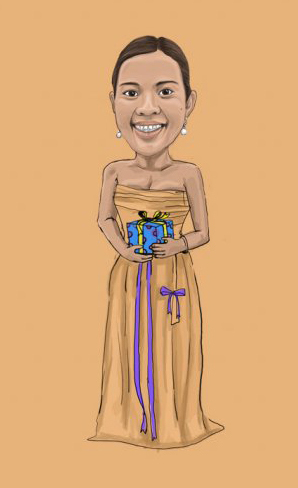 Our caricatures make wonderful gift for birthday, anniversary, mother’s day and any other special occasion. 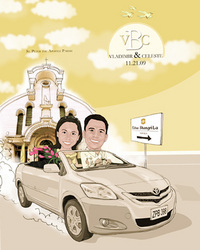 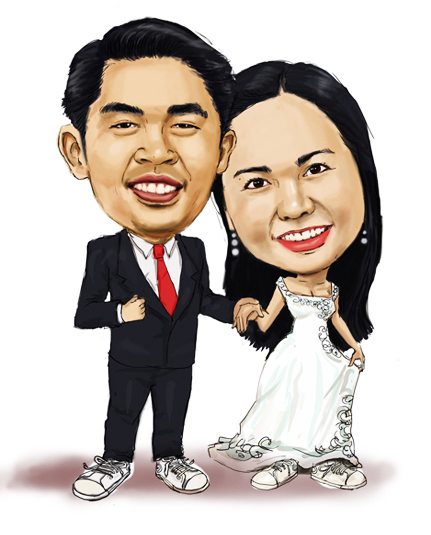 Wedding caricatures always evoke beautiful emotions of a very special day. We offer unique and creative work and we make every single illustration stand out in a personal way. 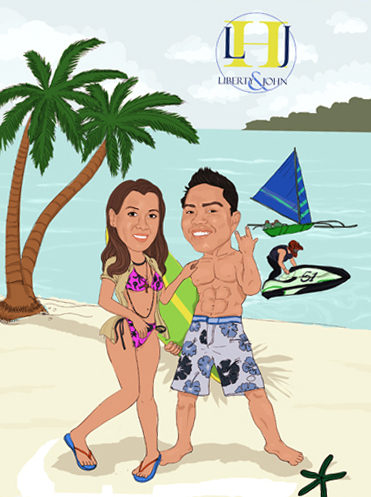 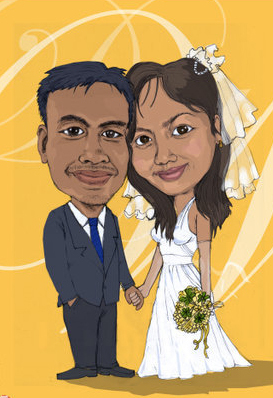 These wedding caricatures have been used as save the date, invitation cards, thank you cards, favours and gifts. 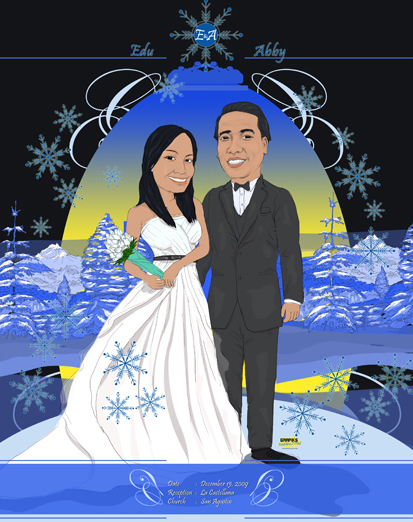 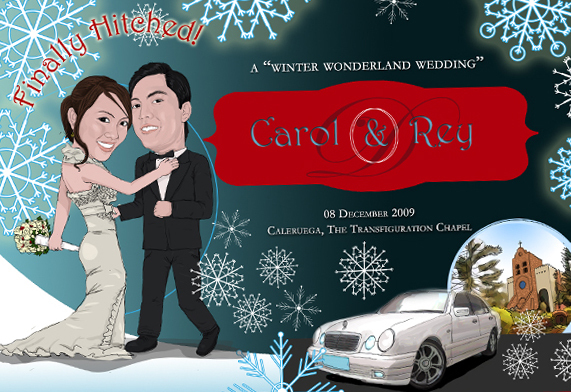 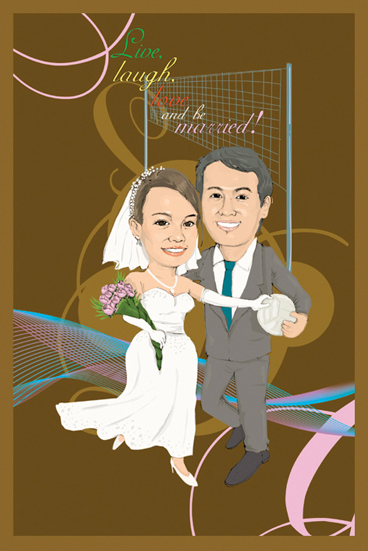 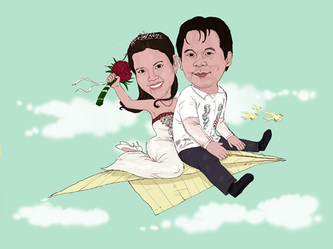 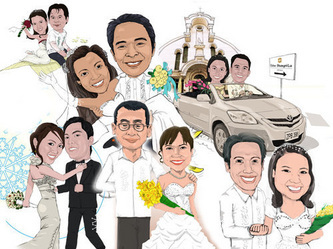 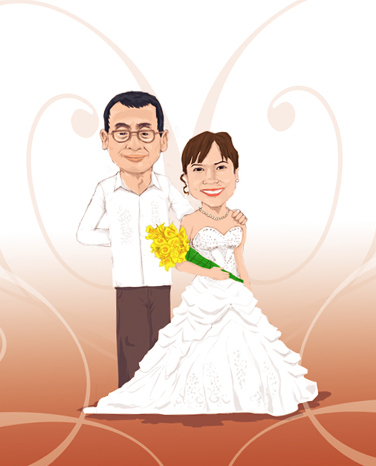 Remember that you can specify any theme or background for your wedding caricature.